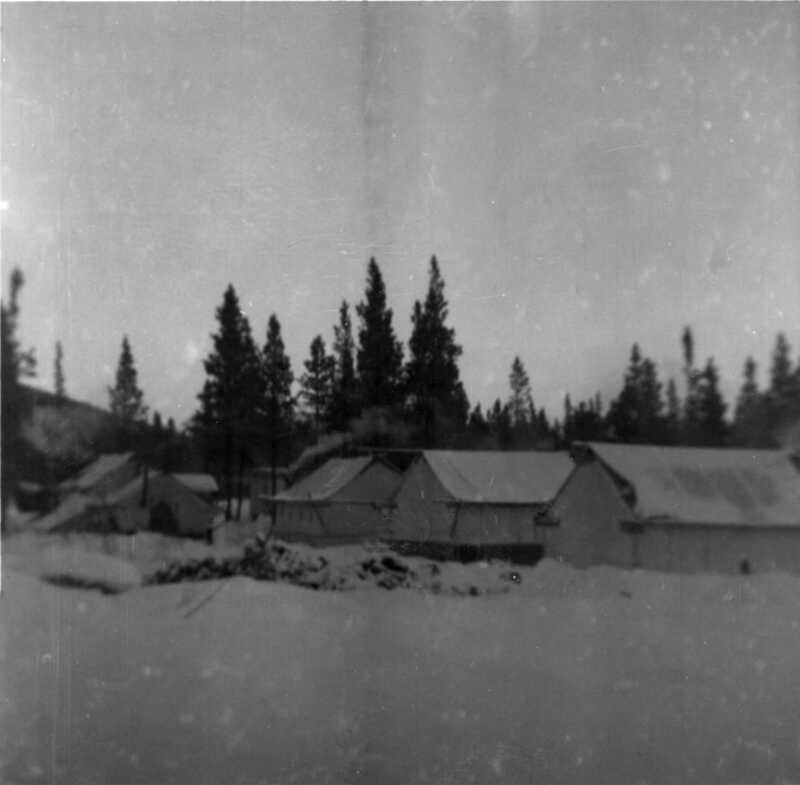 Photograph depicts tent structures in the early construction camp at Cassiar. 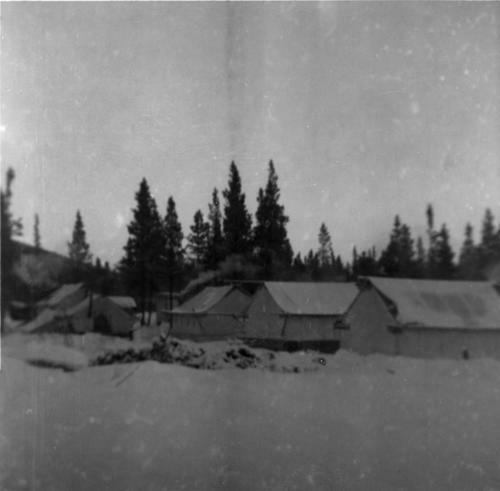 Snow-covered area in foreground, trees in background. Handwritten annotation on recto in blue ink: "TENT SITE LOOKING EAST DEC. 23/51" "T.T.T".